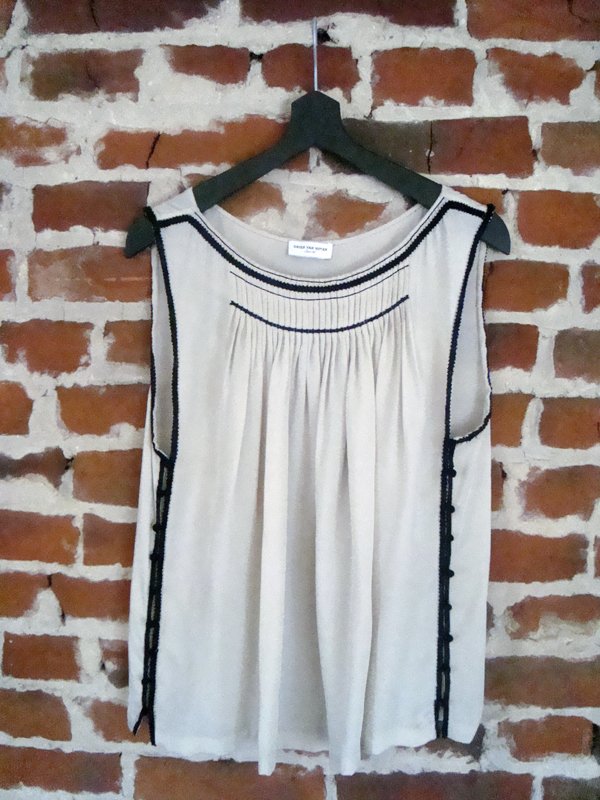 New in my wardrobe: this fabulous Dries Van Noten. Because I really needed a new top. NOT. But you have to admit: the 100% quality silk, the tiny black beads and the cute pleats on the chest make this purchase totally justifiable ;-). Another argument in my favor: it was on sale during the FFI Contemporary Fashion Days. So you see, I had no excuse left to keep this beauty hanging there.